Natureva Resort is located in the Cap d'Agde Naturist Resort and is a clothing optional property. This four-star property is close to Cap d'Agde Beach, the Musee de l'Ephebe and Cap d'Agde Gold Club. Make yourselves at home in one of 51 air conditioned non-smoking rooms. All rooms feature a kitchenette with fridge/freezer, coffee maker, dish washer and microwave and include private furnished balconies (excluding studios), a flat screen satellite TV, bath/shower and living room with a sofa bed. Rates include free access to the fitness room/pool area. 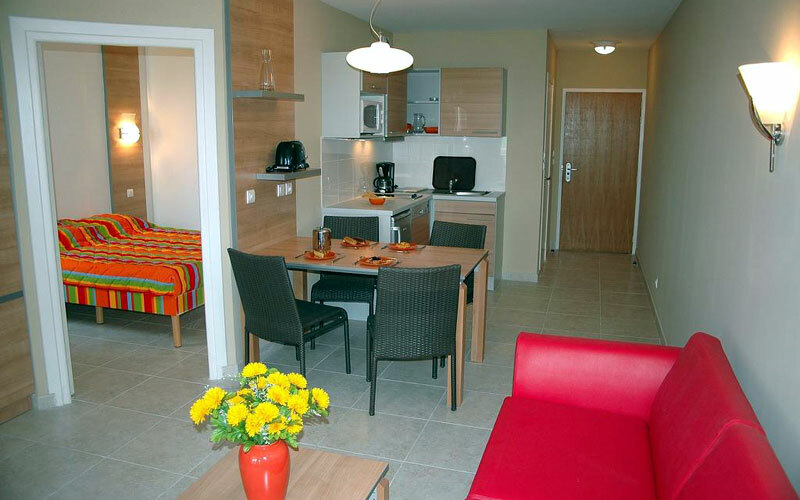 Studios: The studios are 28 square meters in size, excluding the balcony/terrace. They feature a kitchen/dining area, a bathroom with toilet and either two bunk beds or a king size bed. The superior studios also feature a mini bar, dressing table and chairs on the terrace/balcony. 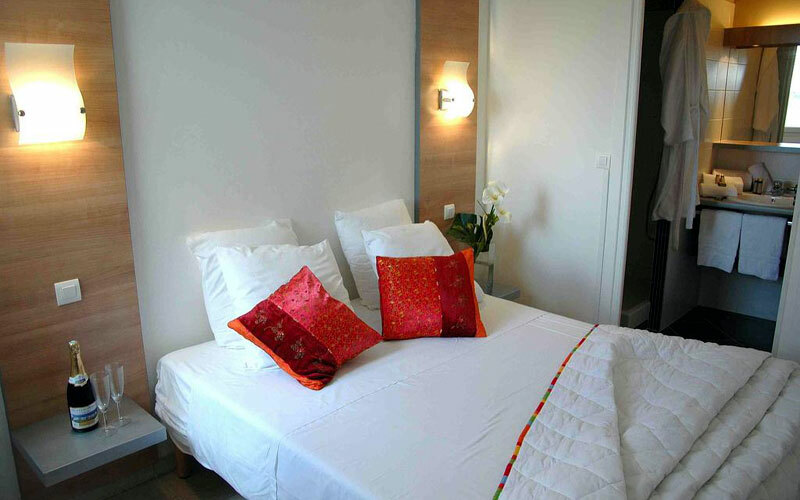 One Bedroom Suites: These suites are between 39 and 41 square meters in size and sleep up to four people. They feature living room with sofa bed, kitchen and dining area, bathroom with separate toilet and bedroom with a double bed. Two Bedroom Suites: These suites are 46 square meters in size and sleep up to six people. They feature living room with sofa bed, kitchen and dining area, bathroom with separate toilet and one bedroom with a double bed and a second bedroom with two single beds. Away With Dune offer this property on a room only basis. Continental breakfast are available daily for a fee. The on-site spa has three treatment rooms including a room for couples. Services include facials, body wraps, body scrubs and Thai massage. A variety of treatment therapies are provided including aromatherapy, Shiatsu, and Ayurvedic. They also offer a weight care programme. Away With Dune hold a copy of the Spa menu and can forward a copy to clients on request. Reservations for treatments can be made prior to your arrival in resort. Facilities within the spa include a superb 6m x 12m heated pool, steam room, jacuzzi, sauna and a solarium with comfortable chairs. Please note that if you are looking to stay in the Cap d'Agde area but would prefer not to stay directly in the naturist resort, Away With Dune offer a large range of hotels in the area. Please call and speak to a member of our friendly reservations team for further details.